It's been so lovely to see the weather slowly turn from Winter to Spring. We still have long way to go, but with Easter just a little ways away, I'm reminded that it will be no time at all before Spring is upon us! 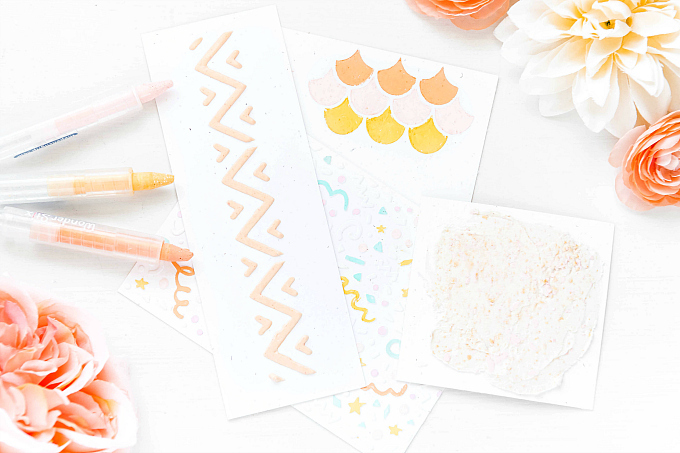 I'm so ready to say goodbye to winter, and in anticipation, my craft space has been littered with Spring colors for weeks now. 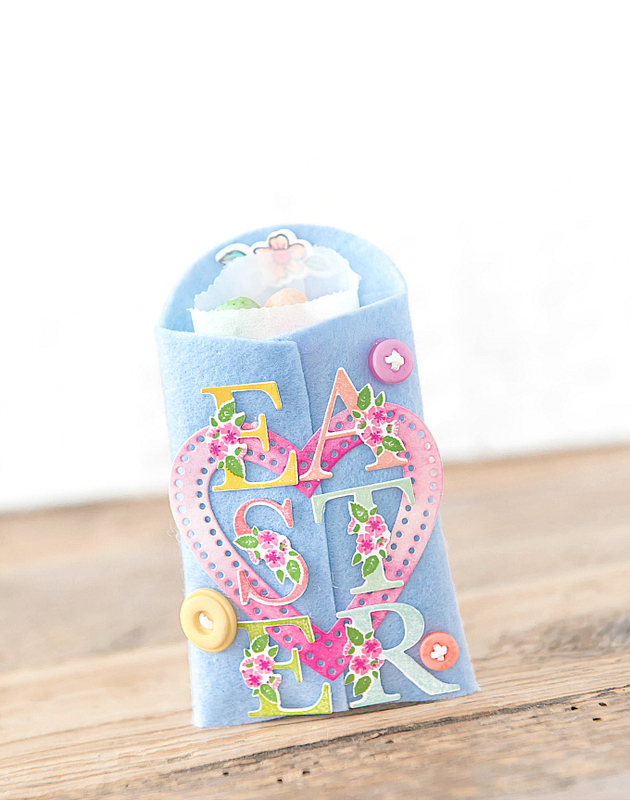 So today I'm popping in very quickly to share a colorful, little Easter pouch. I had these beautiful Botanical Letters sitting around from a few other projects I had done, so I inked them up and decided to use them for a felted pocket. I needed something to store some sweet treats, and thought that the Seed Packet die from Papertrey was just the perfect fit. For the pocket, I used Blueberry Sky felt, and for the ink colors I used Bright Buttercup, Melon Berry, New Leaf, Raspberry Fizz, Hibiscus Burst, Melon Berry, Vintage Jadeite, Green Parakeet, and Aqua Mist. I also added a stitched heart, inked with Raspberry Fizz, cut with Limitless Layers: Heart Stitches die. I added a few stitched buttons, and a glassine bag insert for the jellybeans. 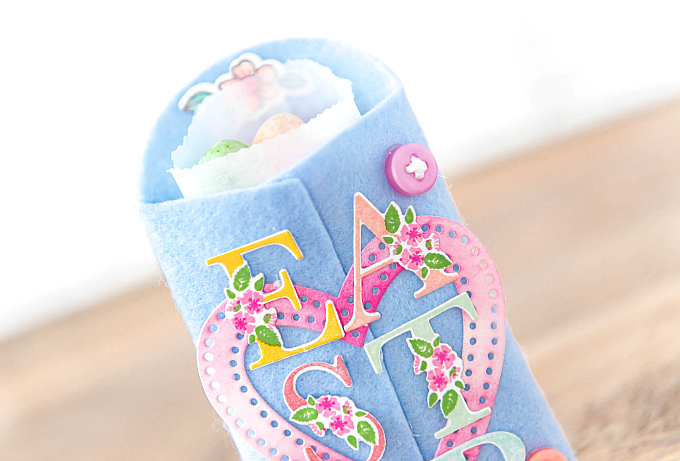 This was such a fun way to use leftover die-cuts and a really quick and easy Easter treat project. I plan to make a few more of these to share with the kiddos in our life and maybe a more subtle version to tuck in with our dining table decor. I hope wherever you are, Spring has already made its way! This is really adorable. Did you fussy cut the Botanical Letters or is there a die for them? Sylvia, thank you so much! Yes, the botanical letters are a die - thankfully! I've linked them in the post above, just under the first picture. I hope that helps! 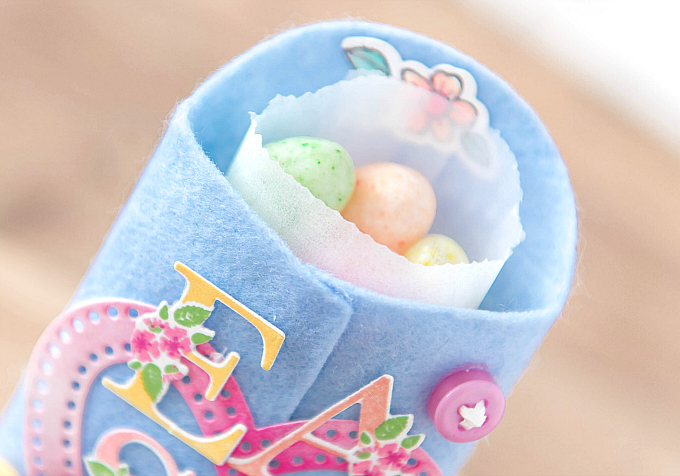 Thanks Ivana, right now they are out of stock..
Oh my goodness--what a fabulous Easter project! 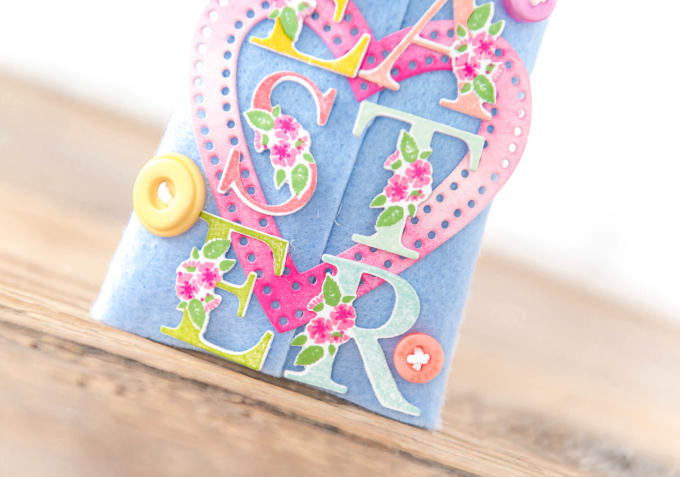 Just love that you used felt for the pocket & the letters are gorgeous!